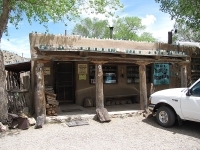 Albuquerque can be described as a breath of fresh air, offering an array of choice attractions. Those in search of some relaxation will find it in its incredible golf courses and beautiful scenery. Visitors can take a hot air balloon trip over the Rio Grande Valley, go horseback riding on the river banks, enjoy the top class New Mexican cuisine, or simply stroll through the Old Town. 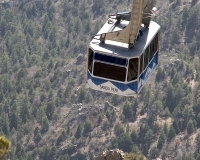 The Sandia Peak Aerial Tramway is a popular attraction, providing wonderful views as it climbs the 10,378-foot peak of the mountains. There are many tours on offer; trams, trolleys, and buses all provide great tours whatever the interest. 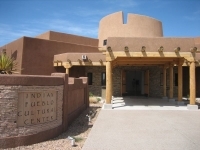 For those wishing to explore the depths of Albuquerque's cultural history, a visit to the National Hispanic Cultural Center will satisfy their curiosity as will the Indian Pueblo Cultural Center. With about 19 museums to explore, including the Albuquerque Museum and the New Mexico Museum of Natural History and Science, there is lots to learn. For serious outdoors action, people may enjoy the 17-mile-long (27km) stretch of escarpment that is the West Mesa and home to historic rock carvings or petroglyphs; it is here tourists will find the Petrogylph National Monument. Residents of New Mexico and visitors alike enjoy nature, making time for hikes, exploring the many trails, and taking in the scenery. The Carlsbad Caverns National Park is also where you will find lovers of the open air, making for another top spot for visitors.